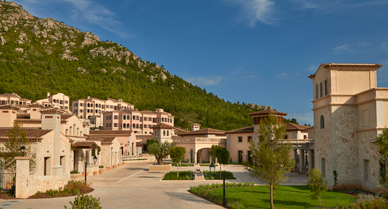 The Park Hyatt Mallorca is an award-winning 142-keys luxury resort built to evoke a Mallorquin hilltop village whilst encompassing state-of-the-art technologies and facilities. There are restaurants, lounge and poolside bars, function and meeting rooms, a spa and fitness centre, and facilities for conferences, meetings and events. 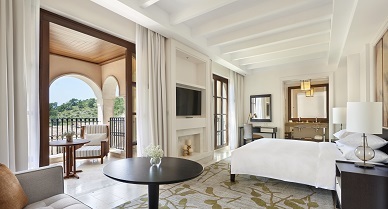 Managing the acoustics throughout the hotel development is vital in order to maintain the impression of a luxury facility which provides both relaxation and excitement. An appropriate sense of involvement in the public spaces is equally as important as privacy and comfort in the bedrooms. 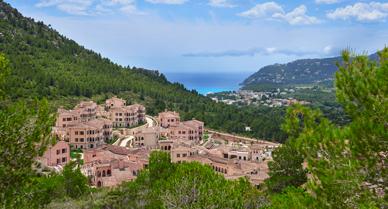 There were also the high standards set by the client, Hyatt Hotels Corporation, and local Spanish regulatory requirements to be met. Conducting commissioning measurements that combine sound insulation, reverberation and mechanical services noise to demonstrate compliance with the Spanish technical codes and Hyatt’s acoustic performance standards. Any noise leakage issues could be resolved early on without causing any undue delay or additional costs to be incurred. A ‘gold standard’ for the remaining construction was also set and confirmation given to the client that the required sound insulation is being achieved. As the site is relatively remote and quiet, studying and measuring existing noise sources from vehicles, rail and/or aircraft traffic was not required. 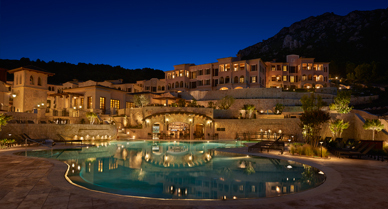 DSA Architects International won the Best Hotel Architecture Spain award for Park Hyatt Mallorca at the International Property Awards - Europe 2016.